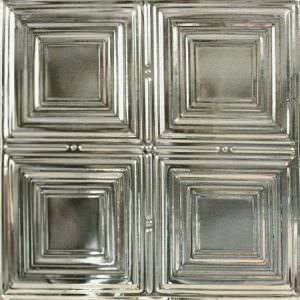 Our authentic tin-plated steel tiles use some of the same patterns that dominated early 1900s home décor. 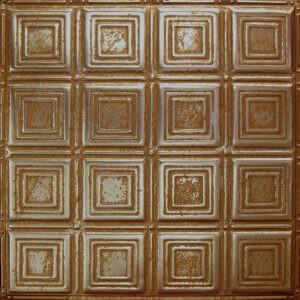 Today, these tiles provide a dramatic, embossed finish to any room of the house, office or business. 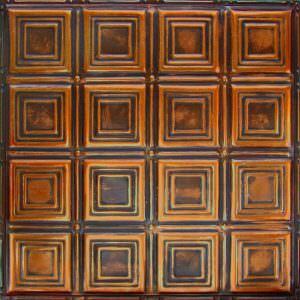 With an expanded range of colors and finishes, they enhance styles from traditional to modern. 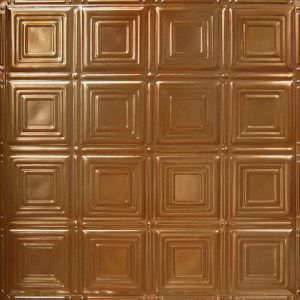 Our tin ceilings are easy to install on any building material. Available for Drop in Grid or Nail up. 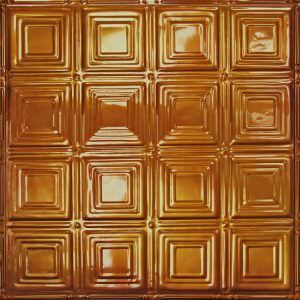 SKU: 1180 Categories: CEILING TILES ALL TYPES, COPPER CEILING TILES DROP IN GRID METAL CEILING TILES, Metal Ceiling Tiles No Discount Apply To These Products Lead Time Estimated 14 to 21 Working Days.. 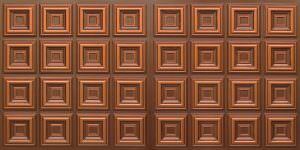 Select Your Installation Type – We offer different kinds of tiles (Nail-Up and Drop-In). 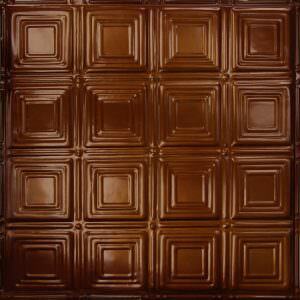 Which one you need depends on the ceiling substrate you’ll be installing on. 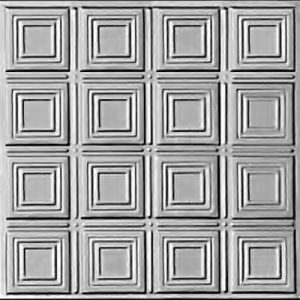 Choose a Pattern – Peruse the 35+ pattern options to find the aesthetic that best suits you. 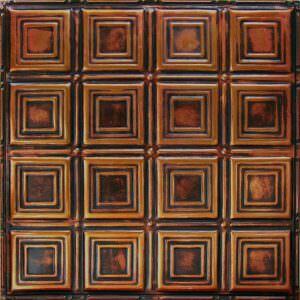 All tiles are 24” x 24” regardless of design and all patterns are available in all installation types. Pick a Color – After you’ve selected a pattern, you can view various color families to create the perfect combination. 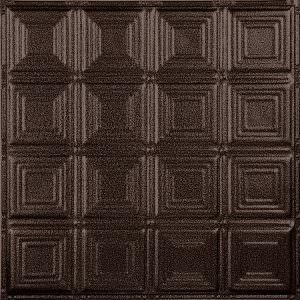 All patterns are available in 50+ premium powder coated finishes, or you can purchase them unfinished and paint yourself. 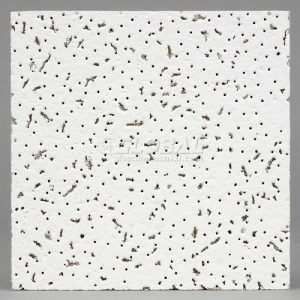 Acoustical version are micro perforated for superior sound quality, available at extra cost. 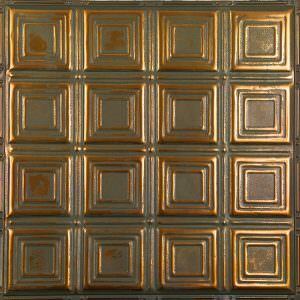 Metal tin tiles have a fire rating of over one-hour. Some metals like aluminum and steel aren’t combustible, but buckle under intense heat. 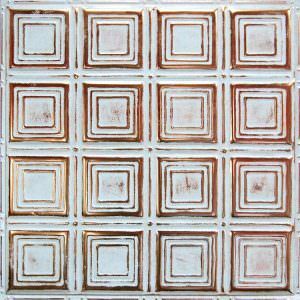 Since our tiles are made from T1 grade tin plated steel, they are 0.010 thick and sturdy, thus carrying an ASTM E 84-03b approval rating (Surface Burning Characteristics of Building Materials). We’ve tested our product with 1000°F of heat being delivered by a propane torch for over 50 seconds and as far back as 1914, the Fire Underwriter’s Association has been running similar tests to ensure authenticity.